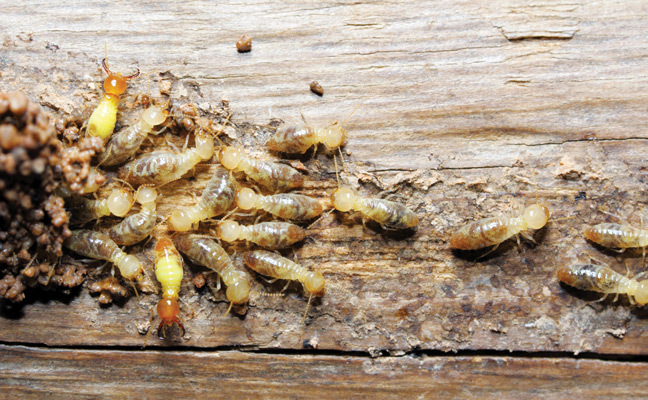 Take some advice about termite management from the pros who have learned from experience. The customer is always right. Nurture the same attitude in your employees and inspectors. — John Etheridge, Owner, Seashore Pest Control, Huntington Beach, Calif. Treat customers with respect. Do for the customer what you promised. — John Higley, Owner, John Jr’s Termite & Pest Control, Tucson, Ariz.
Show the client where the infestation is, and explain how you treat for termites. — Gustavo Hernandez, Owner, H2 Environmental Pest Management, Astoria, N.Y. Build the customer/company relationship. — Ed Chamberlain, Owner, Chamberlain Exterminators, Salisbury, N.C.
Review the contract with the customer prior to doing the work. — Bud Ore, President, Bud’s Pest Control, Palm Coast, Fla.
Take time to explain to the customer the differences among termite species. — Colby Gregory, Owner, Pest Control Solutions & Services, Largo, Fla.
Offer complimentary inspections to the neighboring properties of those you treat. — Eric Fletcher, Owner, Eastern Arizona Exterminating, Gilbert, Ariz.
Use your existing customer base to upsell. If you are providing them with outstanding service elsewhere, make sure they know you offer termite protection as well. — Randal D. Dawson, ACE, Operations Director, DC Scientific Pest Control, Tuscaloosa, Ala.
Offer discounts on termite treatments to seniors, veterans and single mothers. — Kyle Elzey, DCO/IPM Specialist, Pest King Services, Gainesville, Ga.
Make the retention of existing contracts a priority. — Tim Harris, Owner, Harris Pest Control, Effingham, S.C. Educate your whole team of employees. It could be a problem if just your termite guy — and not your general pest control or office employees — knows termite management. — Aaron Brunell, Manager, Brown Exterminating Co., Stanardsville, Va. Always buy the best equipment possible. It makes hard work easier and [your tools will] last longer. — Dayton Hylton, Owner, Dayton’s Pest Control Services, Knoxville, Tenn.
Have all your termite-related paperwork finalized by an attorney specializing in the pest management industry. Also, it is not a bad idea to have your general liability insurance company look it over, too. — Scott Kight, Associate Certified Entomologist, Fort Myers Pest Control Inc., North Fort Myers, Fla. Develop and implement new programs to keep up on cutting-edge technology. — Mike Barker, Office Manager, Times Up Termite, San Leandro, Calif.